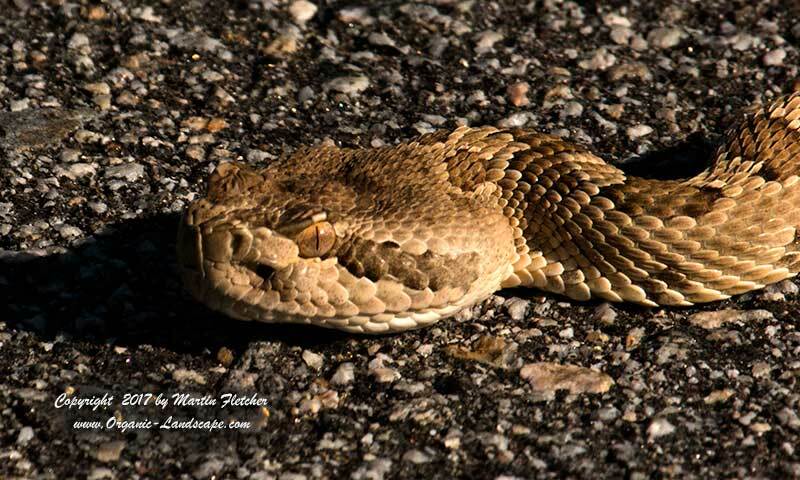 This Western Diamondback Rattlesnake was found warming itself in the late afternoon sun on the road at Carrizo National Monument, California. The Western Diamondback Rattlesnake can only strike to about half its length. The snakes are cautious and really don't want to waste their venom on you since you are way too big to eat. Best to keep a distance and give them a chance move on. The Western Diamondback Rattlesnake is sometimes confused at first glance with a gopher snake. Note the differences in the shape of the eyes, and head, and hey if there is a rattle down there you can be pretty sure of your ID. 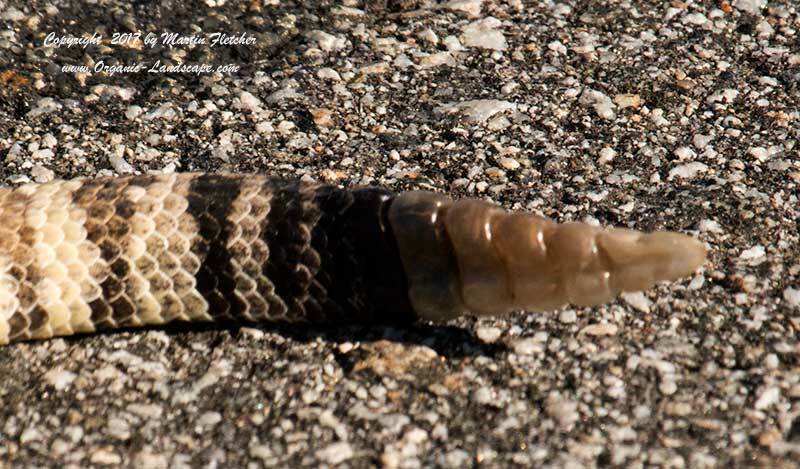 Western Diamondback Rattlesnakes add a new link to the rattle with each annual molt. They will give a polite rattle if they are concerned about something too close to them most of the season sometimes excepting the period just after molting when they come out of hibernation.